These were faux handles attached to the front of a faux garage door. The customer enclosed his garage but wanted the door to look like functional barn doors. I added the handles and hinges. Faux hinge plates. Painted black, hammered edge. 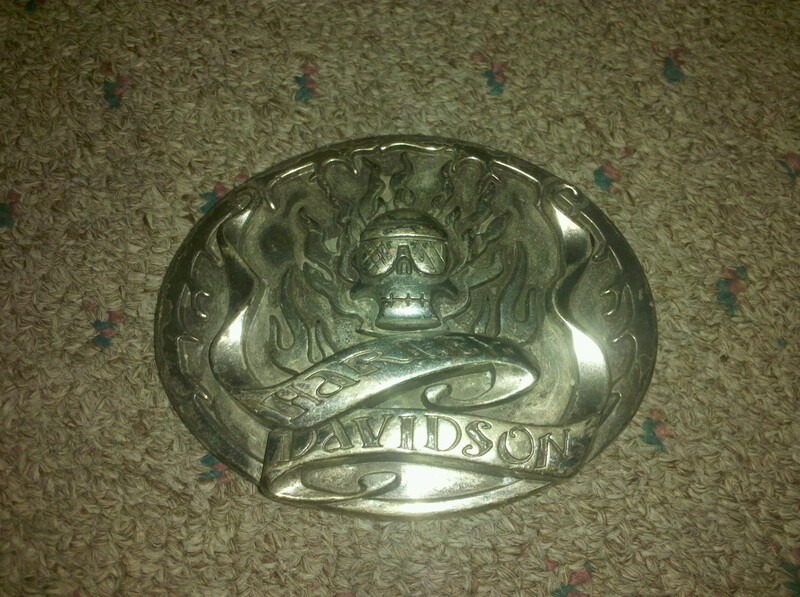 This was one of many images sent me for this custom buckle. This request was a challenge. I went back and forth with the customer trying to get the details right. The finished product. Made from 3/8ths flat bar. Forged fish tail and stamped scales. Hole drilled for the black dot and the hole filled with a round bar. Rust patina finish. Clear lacquer. Cut by hand with an acetylene torch. 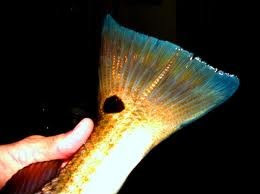 This fish silhouette was a birthday gift. Great for hanging keys or whatever. I can easily cut any other fish design as well. This is a logo for a photography company. Hand cut letters. Painted white and black. A fun project for me. I haven't done much cowboy stuff. I was provided the shoes from a friend who had saved them from her families personal horses. So they had sentimental value as well. Rust patina, wax finish. The original idea was to make it just like the logo. I had these plasma cut then added the ring and hook. Painted it black and hand painted the "Downtown" . Ultimately we decided on a natural look with the "Downtown" painted green. The customer felt that it would be seen easier if it was natural as opposed to black. I finished all sixteen, hand painted each one, and gave him the sample. This picture was sent to me to see if I could offer some sort of duplicate. I told the customer I could, but it would vary a bit from this one. I etched the flames, stamped the letters, and hand made the skull. He loved it. 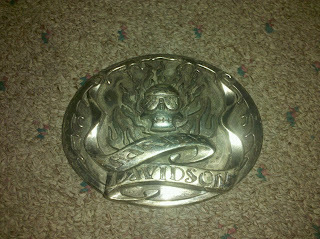 I do many buckles with custom stamping. This one was very unique. It was painted with the colors from the Irish flag, and was stamped on an oval. I liked it very much.